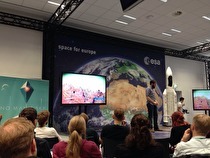 Worlds collide as gaming comes to the European Space Agency as No Man's Sky begins its pre-release tour. Also known as Xenoblade Chronicles: The Chronicles. Will this game ever be released? There is less than a month to go until the console graces European territory. Will it be a spectacular affair or go by unnoticed? Give Karlie some Love in Talkback! With only Game Boy Advance until next Spring in Europe, can the GameCube successfully take away some of Playstation 2’s dominance? With the US launch closer than ever, European gamers wait for Nintendo’s promise of a release date for the precious machine. Nothing has been revealed further than “Spring 2002” and will not be for a while to come.